We all have an innate ability to self-heal. You are the missing component to getting better. The Voyage to HEAL is where traditional medicine of stretches, exercises, and body mechanics meets historical, ancient medicine of mind over matter and the power of God. This is your guide to correcting cumulative, physical, and emotional holding patterns shifting your perspective from fear to love so that nothing may hold you back, including yourself. May only the loving light of God shine in and out of you bringing you peace when you need it most, now. Peace is possible. You can do this. learning Healthy Everyday Activities for Life. Watch the guided stretching videos to find the stretch perfect for you. Without a stable pelvic floor and core musculature, the rest of the body will overwork and use tension to stay upright. The mind is the captain of our ship and determines where we sail. 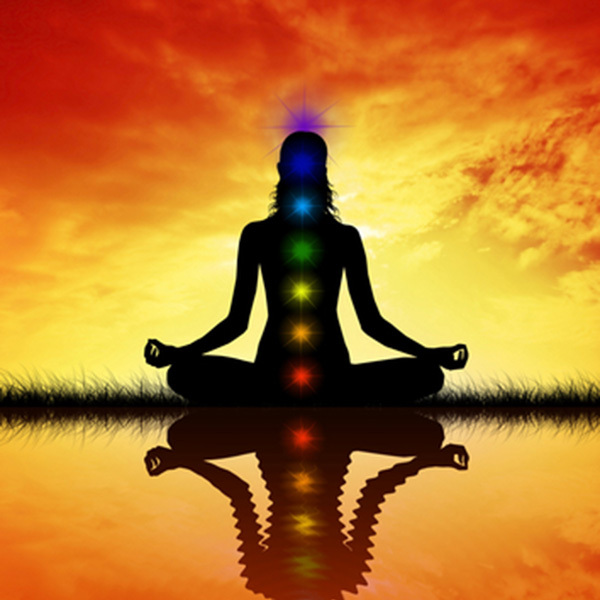 Follow these meditations to find peace. Attain an aligned posture to correct cumulative traumas of our everyday habits. Awareness is the greatest shifter. Access to Voyage to HEAL requires the one-time purchase of a lifetime membership. If you have already purchased a lifetime membership but do not see your chapters to the top-right, please login to the top-right sidebar, in order to view and access all our Voyage to HEAL Chapters. If you have not yet purchased our Voyage to HEAL Membership, please click the Purchase Here button to gain access. Who is this program beneficial for? Not all stretches are created equal. If you have been dealing with chronic, debilitating pain without relief, you've come to the right place. If you have spent the last several years giving of yourself, helping others while your body and heart have paid the price, you've come to the right place. If your everyday activities have only been tightening the tension in your body, then you've come to the right place. If you are ready to end the cycle of physical and emotional pain that you have been carry with you for so very long, then you have come to the right place. This voyage is more than just physical stretches. You are about to embark on a voyage releasing the energy that has been stored up in your body, holding you tight, pulling you out of alignment and resulting in pain and illness. Though this response is perceived as causing harm, this is your body's way of trying to protect you. Your body has been trying to hold you together, trying to keep you safe, trying to make things right. Yet as one area closed off, another area overworked and got tired and then that area, too, closed off and the cycle continued on. Your body really is your best friend. Your body is struggling just as much as you are. Pain is stored energy that has not been released. The time to let go is now. Your body, your soul’s transportation device, would love to end this cycle. Your inner guide is the part of you that knows you best, that wants to see you happy, that wants to teach you how to release your pain and live a life of love. Your inner guide is your intuition which can manifest to you as God, an angel, a loved one who has passed away, a spirit guide, an animal, anything that you associate closely with. Throughout this voyage, you will slow down, listen, feel, and you will hear your inner guide direct you to finding peace. Are you ready? Then come with me on a voyage to establish Healthy Everyday Activities for Life. This is the place that you have come to HEAL. I am honored to be your outer guide on this voyage to awaken your inner guide and find peace. My life has been an amazing, fully guided journey from start to finish. God has placed all the right people in my life at the exact right time for my destiny to unfold. This doesn’t mean that everything has been smooth sailing, but everything that was to happen for my life to unfold as it has, has happened. Nothing was ever done to me, but rather for me. Thanks to my incredibly loving Aunt Janet, I knew I wanted to be an occupational therapist at age 16. Being an occupational therapist gave me the awareness of how the body and the mind work and what happens with injury and illness. This was a perfect start to learning about the physical body. God guided me to Ohio with my first job, but I knew even during my clinicals that I wanted to be in Ohio. Here, I met my husband who has always been a transitional inspiration in my life. He pulled me out of the city and into the country, to owning a horse, and to a new job. I love small, intimate settings and peace and quiet so the country really did fit me better than the city. My horse brought me confidence and enlightened me to how my emotions can drive the behavior of those around me. I see myself in my horse which was further proof to me how influential we really are upon even our animals. We are mirrors of each other. The new job I took after I got married enabled me to take my first of many myofascial release courses which was the single most significant catapult in starting my voyage to heal. 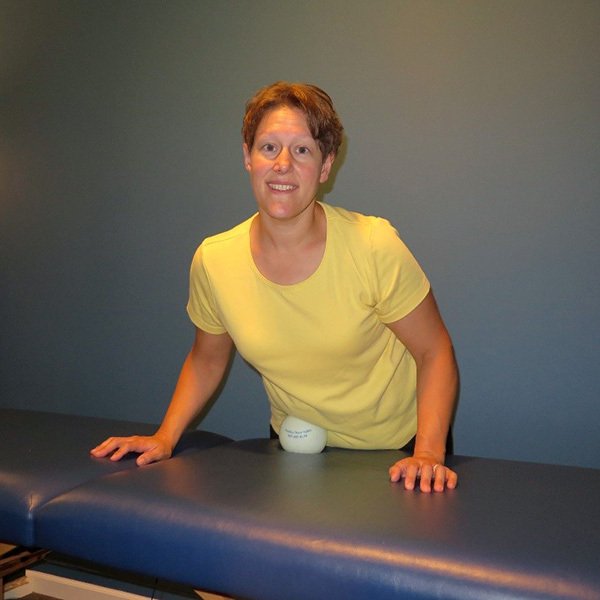 John F. Barnes Myofascial Release taught me to feel. I was so unaware of my body before myofascial release. I knew stretches, exercises, and diet were important, but I didn’t really knowing what was going on inside of my body. I relied on others to tell me what was happening. MFR flipped that around and challenged me to look inside for the answers, not outside. I had to face my demons of insecurity, depression, self-blame, shame, guilt, and anger, to name a few. MFR is healing, but there was still more to come. Twelve years ago, I was diagnosis with Graves Disease. Using myofascial release, yoga, meditations, and self-healing within 2 and a half years my thyroid was functioning normally and has for the last 9 years. The Course of Miracles transitioned me to a deeper, more meaningful, spiritual way of living. I’ve learned the beauty of simplicity in absolutely everything. It comes down to this, God is in everything, including me. All I need in life is God. The light of God will always shine on inside of me forever. Happiness must come from the inside, not the outside and when it doesn’t, our body is at “dis” “ease”. In Alan Cohen’s book A Course of Miracles Made Easy, he states that perception is a mirror and not a fact. Jonathan Livingston’s book The Seagull made the profoundly true quote that our body is our thoughts manifested in a physical form. As I struggled with adapting to the life changes of being a mother due to severe post par tum depression and a very under active thyroid, I had to really soul search to see how my perspectives were tinting the beauty of my reality. The more I dove into A Course of Miracles, the more I saw the miracles, not the hardships, in my life. This allowed my body and mind to be more and more at peace and slowly my thyroid has leveled out and my depression has lifted. I have found the miracle of life. I have found peace and I so want to share that with you. So how do you really heal? You are the only one who can heal you. Doctors, therapists, outside sources can fix your physical wounds, but only you can transform your thoughts to love of yourself and others so those internal wounds will mend. Then the most powerful question ever asked will be answered. This is a 12 week voyage traversing the oceans of life in search of you. Take the journey at your own pace. I recommend spending a week on each chapter, but you make that call. Be dedicated to this journey and give yourself at least 15 minutes minimal 3-5 days a week to feel the releases. Each week dedicate 1 hour to reviewing the chapter, choosing your stretches, knowing the exercises, and implementing the daily tasks and meditation shift of thought into your everyday. Most of the Voyage is shifting habits and can be integrated into your everyday life. The more time you give to yourself, the more effective the Voyage will be. It's yours for life. So you can start off simple and always return for more. Enjoy the journey. As you develop your own, personalized healing journey, you will hear your body ask you to focus on other areas. Listen. Take a side excursion to where your body is asking you to go. As your tour guide, I will suggest various releases, but feel what is right for you and spend as much time as you want at each destination. The final destination is for you to know yourself and heal yourself by listening to your inner guide. Read through and complete one chapter a week at the very most. Each week following, you will be given a specific area to focus on. There is a list of all the stretches in each chapter. You may also watch the video of stretches that corresponds with each chapter found in the Inner Guide to Stretching DVD as well as the on-line Voyage to HEAL process. From the list or video, choose 3 stretches to focus on each week by circling the releases you like best. *For example, if you watch the psoas releases, there are multiple ways to release the psoas. Choose 1 option that feels right for you. Each week you should have 3 releases to focus on in a specific area of the body. If you just can’t choose, I offer my favorite 3 stretches in each chapter. Read or listen through the weekly meditation that corresponds with each area of the body while you are completing your weekly stretches. The length of the meditation does not dictate how long a release should be held. The meditation is just to get you started. You are welcome to listen to it multiple times. Each section has a progressive series of core exercises for you to complete. The exercises are listed out and there is a guided video for each section as well. Do this at your own pace and never feel like you have to move on to the next set of exercises if you are not ready. Journal, paint, sculpt, or express yourself in any way that you can during this journey to keep track of the changes in your emotional wellbeing and level of pain. There are also evaluation forms for you to complete periodically throughout the voyage. The app Pain Log Skillo Apps is free and great to continually track your pain and mood. Keeping a daily log may help you to see progress and trends in your pain and mood. There are recommend readings for each chapter as well. You do not have to read the book at that moment if you do not want to. They are just a suggestion for now or later. Throughout this journey, you are in charge of where you go. 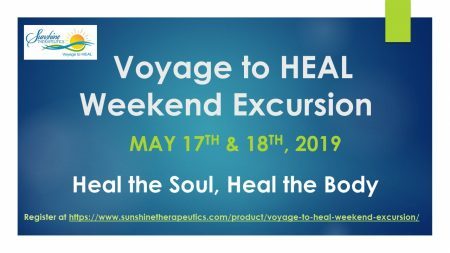 I highly recommend that this voyage be complimented by weekly myofascial release treatments, counseling, or other body work that integrates the physical and the emotional body. Have someone that you can rely on and talk to throughout this process. You do not have to travel alone. Seek the guidance you need to fully HEAL and find yourself again. * Watch Myofascial Release Stretches for the Beginner using a rolled up towel for guidance on following the MFR principles of stretch and release. * For a complete workbook with pictures of all the stretches, check out the following 2 books. Daily task: “I am enough. There is nothing that I need to hold onto.” Begin simplifying your environment and life. Let go of things you do not need and focus on yourself. Remember, everything is a blessing, but nothing is really needed. 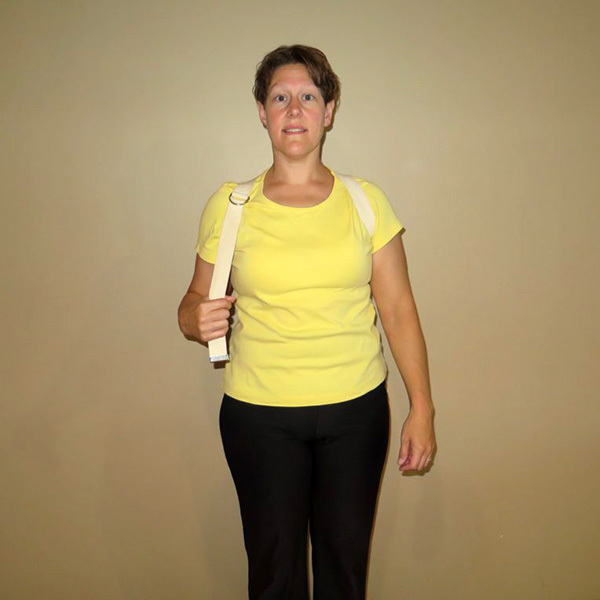 Postural Correction: How do you hold your arms in sitting, standing, sleeping? How is that effecting your posture? Change it if needed. The video below demonstrates the flow of a weekly routine that would be completed in the Voyage to HEAL process correcting cumulative, physical, and emotional traumas. *Each chapter has multiple links of educational videos as well as music and book resources that can only be viewed through the Voyage to HEAL. Available in your hands as well! I know on-line activities aren't for everyone, including me! So, coming very soon, you may also purchase the hard copy of the Voyage to HEAL workbook, Inner Guide to Stretching DVD, Voyage to HEAL Meditations, and Core Activation Series. All of these are presently available for download on your computer as well. Click here to visit the store .